The Girls’ Brigade in the United States of America is part of GB Caribbean & Americas. Their mission is to encourage regional cooperation and advancement of Brigade for the transformation of the lives of Girls and enrichment of the world around us by being deliberate BEES for Christ in Building, Equipping, Extending and Serving in Christ’s kingdom. If your setting is one where you can draw a curtain when you come into the room, have the curtain closed. Have someone behind the curtain unexpectedly read a scripture of promise, so surprising the audience. 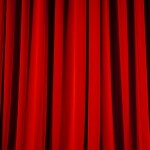 Encourage the audience to guess who is behind the curtain. Then as they wait” expectantly” slowly open the curtains. (If you do not have curtains, hide the reader behind a door then have the reveal themselves slowly. This experience reminds us that God is a spirit, we do not see Him, yet He requires us to believe His word and acknowledge His Presence, when we come to worship. When we do this we can ‘Expect’ to be blessed. Have two young people prepare and present a role play. One girl gives praise to another girl, Jane, congratulating her on her success in the last competition/recent exam. While this is happening Jane is busy texting and chatting with her friends and taking no notice.